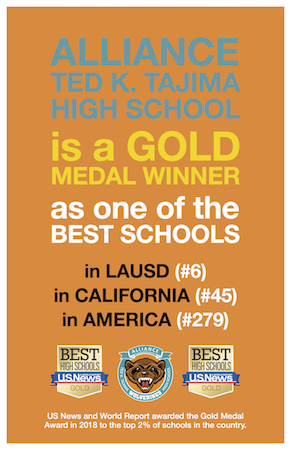 Alliance Ted K. Tajima High School was selected from over 1,000 schools worldwide that will participate in the new Pre-AP Program next school year. Pre-AP is designed to give all students the opportunity to learn the foundational knowledge and skills they need to be successful in Advanced Placement and other college-level coursework. The College Board selected Alliance Ted K. Tajima High School as a partner who is committed to college readiness for all students.